Associate Professor Slaytor is the Prevention Centre’s Associate Director, responsible for all the governance and operational aspects of the Centre’s work. Associate Professor Slaytor worked for more than 10 years in public health as an epidemiologist and biostatistician. Following her research in obstetric morbidity and mortality, she undertook a law degree to pursue her interest in medical negligence. She then worked for five years as a lawyer representing practitioners and hospitals in medical defence litigation. She returned to public health to join the Prevention Centre shortly after its establishment. When Emma Slaytor left school, she wasn’t interested in going to university – even though both her parents were academics. Instead, she worked as a jillaroo, aerobics instructor, barmaid and vet’s assistant. Fast forward 25 years, and she’s more than made up for it. With four degrees spanning music, medical science, public health and law, her career has included stints as an opera singer, epidemiologist and corporate lawyer. Her current role combines many of her skills honed up until now – except maybe her first degree in Music Performance. When she was working in a pub on Magnetic Island, she auditioned and got in to the Adelaide Conservatorium. After graduating, she joined Opera Australia, sharing a stage at one point with Dame Joan Sutherland. 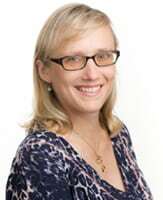 She worked in public health in Sydney in various guises, in maternal and child health, in prescribing and drug utilisation and as a staff epidemiologist at the Royal Hospital for Women where she became interested in law. She then got a job with a commercial law firm doing medical defence work for five years but jumped at the role at the Prevention Centre. “I have also come back to music,” she adds. In her free time, you’ll find Ms Slaytor singing and playing keyboard with a jazz band in a pub in Balmain.